Welcome to the ScoutLander.com home page for Pack 193 of Springfield, Mo! We have an active Pack with approximately 45 boys and we have a lot of fun activities throughout the year. We meet regularly at the Messiah Lutheran Church located at 925 E. Seminole, Springfield, Mo. 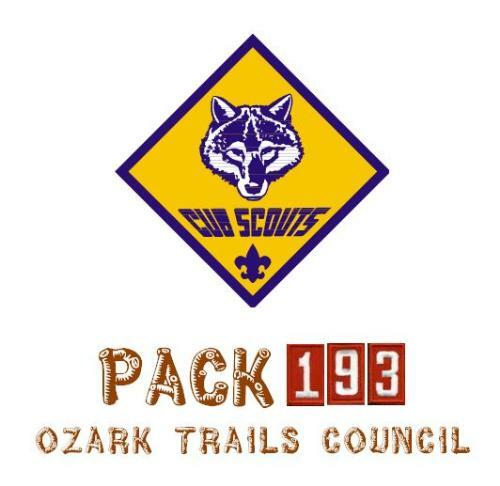 The pack is made up of smaller groups called Dens that is determined by the Scouts school grade. Den meetings are every Monday evening at 6:30 to 7:45. Every 4th Monday we come together as a Pack to have a fun-filled ceremony (with the parents also) in order to give out awards,sing a song or two and just have a fun of celebration as a Pack. Eligibility: Boys from Kindergarten through 5th grade are eligible to join Cub Scouts. Cub involvement: Attendance at all den meetings is usually necessary in order for the boys to earn their awards. Check with your son's den leader for more information. Adult involvement: Many of the cub scout awards require the scouts to do some activities with their parents, outside of pack/den meetings. Tiger Cubs (1st graders) must be accompanied by an adult to all scouting activities. We often ask for involvement from parents in order to improve our program and in order to share the effort involved with providing this program to our boys.